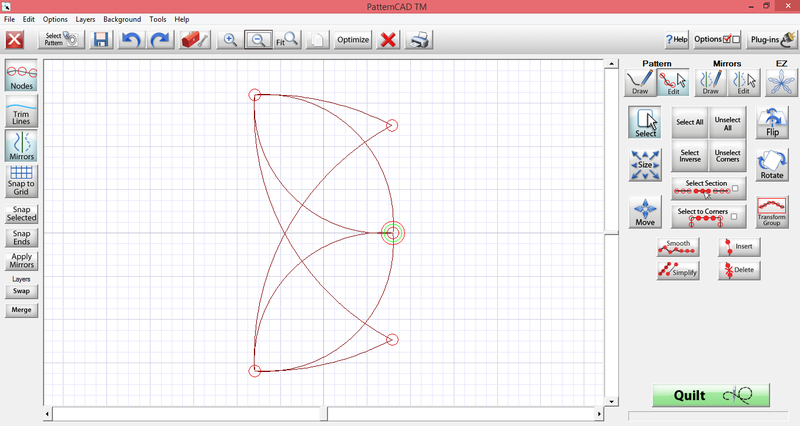 Last week we talked about how to cut a design in half using PatternCAD. Hopefully you have played with the tutorial, because this week we are going to talk about a block that is not as easy to cut in half. Any time you have curved line that crosses the point where you want to stop the block, but does not have a node at that point, you have to redraw the line. I created a second Tutorial to cover this topic. Thanks again to Janice, for asking the question that gave us this teachable moment!